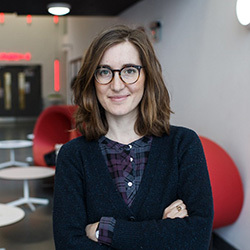 Dr Margherita Laera, Senior Lecturer in Drama and Theatre in the School of Arts, will be a guest speaker at the London venue Rich Mix as part of an event entitled 'Europa – Myths of Europe' on Wednesday 24 October 2018. The event is part of a monthly free series of talks on Europe organised by the music, theatre and dance company Dash Arts. This session will ask what Europe is by looking at the mythologies associated with it. Starting from ancient, historical, and contemporary myths, the event will explore European identity and the role that theatre has played in forming it. Alongside an informal conversation, the evening will also feature exquisite music from Greek lyra and laouto duo Bonnendis. The panel of speakers will also include author Timothy Garton Ash (Professor of European Studies, University of Oxford), dramaturg Katie Ebner-Landy, and Dash Arts artistic director Tim Supple.